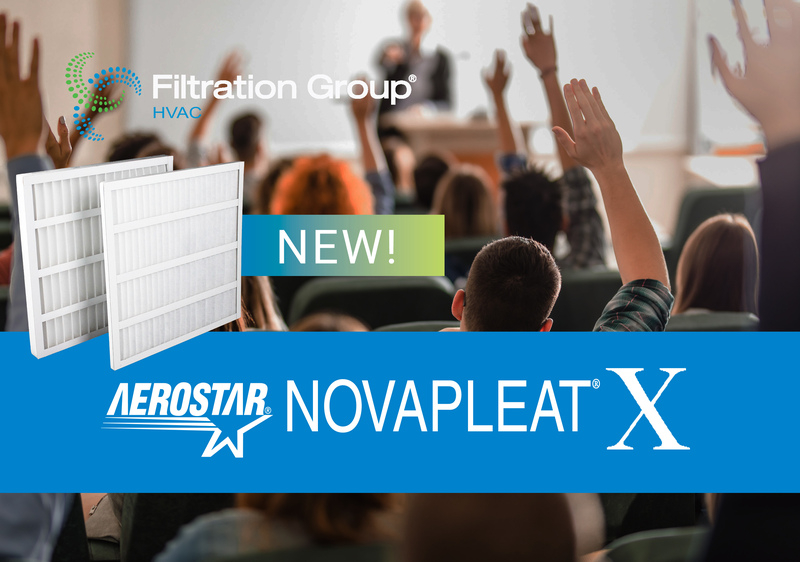 JOLIET, Ill., April 4, 2019 - Filtration Group HVAC today announced the expansion of their product line of self-supported pleat air filters with the release of the MERV 10 AEROSTAR®NOVAPLEAT® X.
Filtration Group, an affiliate of Madison Industries, is making the world safer, healthier and more productive by creating innovative solutions that deliver outstanding customer value. With a passionate team, global footprint and leading technology, Filtration Group is driving innovation and developing unparalleled filtration solutions. Filtration Group serves a highly diverse set of customers with offerings that span life science, process technologies, fluid and indoor air quality applications. One of the fastest-growing companies in the industry, Filtration Group serves its customers from 139 facilities in nearly 30. Please visit Filtration Group HVAC and Madison Industries at hvac.filtrationgroup.com and www.madison.net.